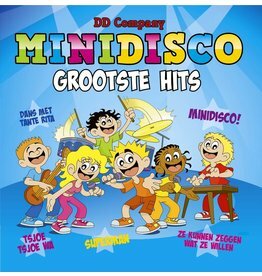 Minidisco Karaoke CD #1 helps you refresh your memory with familiar tunes of the most popular kid hits and encourages your kids to sing along with you. Create Chorus with your kids, sing in duo's and practice at home, in the car or in vacations. Check out the hits !! Do you think that your so close to know the song but need a help? 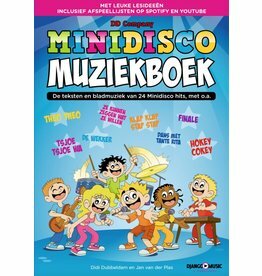 Then check the included booklet for lyrics in Dutch! 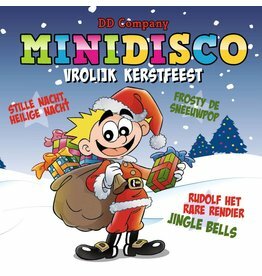 Even better ... visit our website and check the lyrics of the hits in different languages. 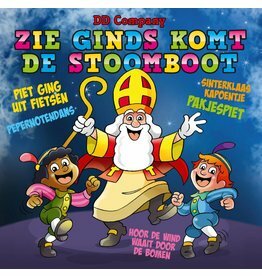 01 Doe Maar Lekker Mee - Instrumental karaoke version of the Dutch song "Doe Maar Lekker Mee"
02 Theo Theo - Instrumental karaoke version of the international hitsong "Theo Theo"
03 Hockey Cokey - Instrumental karaoke version of the international hitsong "Hockey Cokey"
04 Superman - Instrumental karaoke version of the international hitsong "Superman"
05 Misschien Verliefd - Instrumental karaoke version of the Dutch hitsong "Misschien Verliefd"
06 Train Song - Instrumental karaoke version of the international hitsong "Train Song, El tren, de trein"
07 Ik Spring Op En Neer - Instrumental karaoke version of the Dutch hitsong "Ik Spring Op En Neer"
08 Musicman - Instrumental karaoke version of the international hitsong "Musicman"
09 Head Shoulders Knees and Toes - Instrumental karaoke version of the hitsong "Head Shoulders Knees and Toes"
10 Cowboy Joe - Instrumental karaoke version of the hitsong "Cowboy Joe"
11 Arriba Abajo - Instrumental karaoke version of the Spanish hitsong "Arriba Abajo"
12 Jarig - Instrumental karaoke version of the hitsong "Birthday"
13 Doe Da - Instrumental karaoke version of the International hitsong "Doe Da"
14 De Wekker - Instrumental karaoke version of the Dutch song "De wekker"
15 In De Maneschijn - Instrumental karaoke version of the hitsong "In De Maneschijn"
16 Ze Kunnen Zeggen Wat Ze Willen - Instrumental karaoke version of the hitsong "Ze Kunnen Zeggen Wat Ze Willen"
17 Vingertjes - Instrumental karaoke version of the Dutch hitsong "Vingertjes"
18 Final - Instrumental karaoke version of the hitsong "The Final"
19 Sterretjes - Instrumental karaoke version of the Dutch hitsong "Sterretjes"
20 Dreamland - Instrumental karaoke version of the hitsong "Dreamland"